(a) Using a screwdriver, disengage the 4 claws and remove the bracket cover. (a) Using a clip remover, remove the 3 clips. (b) Remove the moulding by pulling it out in the arrow mark direction shown in the illustration. (a) Disengage the hook and remove the cushion cover together with the pad from the cushion. 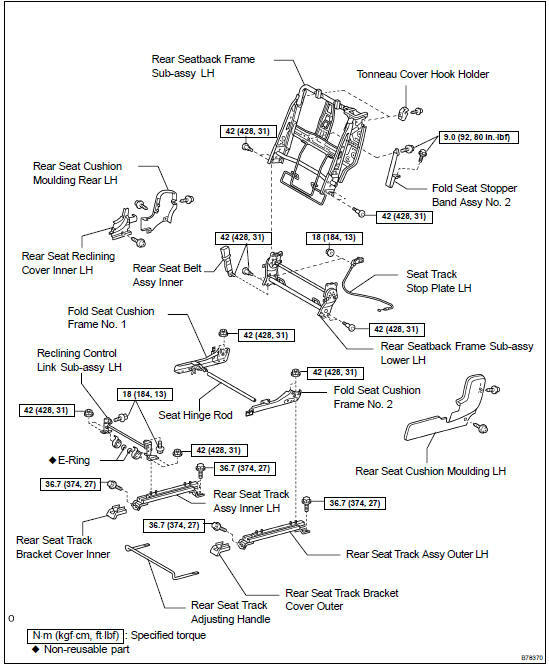 (a) Remove the bolt and stopper band on the seat side. (a) Install the fold seat stopper band with the bolt. 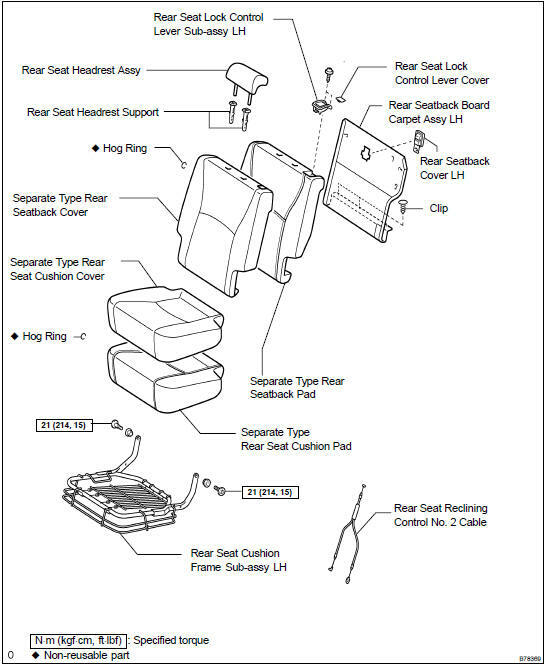 Using a torx) socket wrench (T45), install the seat cushion with the 2 torx) bolts. 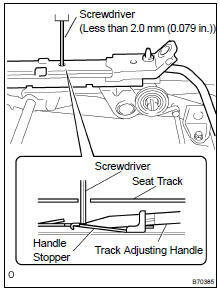 (b) Cushion side: Install the seat cushion with the 2 bolts.